Nick, Rei, and Eric are back to talk more about WoW! This week, Rei and Eric downed Heroic Argus twice, and they are now trying to figure out what to do with the remaining six months before Battle for Azeroth. Nick, meanwhile, was salty that he couldn’t get his Thunderfury hidden artifact appearance on his Outlaw rogue until he completed part of the Stormheim story. YepX asked us to discuss a forum post about Water Walking and making it so that you cannot fall into the water at all while active, and everyone agreed that falling into the water is annoying. Nick suggested that there should be a separate spell that does this, so players can choose how they want to water walk. Harvester sent in an email responding to our discussion last week about breaking out of your shell in a guild. Harv had to break out of his shell in Rei and Eric’s guild, and he was helped by Rei’s friendliness. It also takes a bit of self-confidence to do so. Nick talked slightly about Black Panther, and how Okoye reminded him at times of Sylvanas and of Nazgrim. There was a Q&A this week. The big news to come out was that Kul Tirans will be an allied race, and that they will be able to play as druids, with an amazing new guardian form introduced. 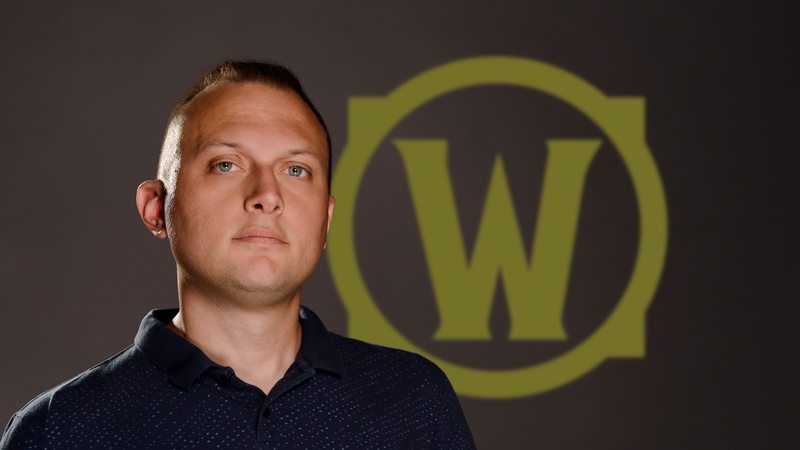 They talked alot about allied races and alts, and Nick asserted that people complaining about expansions being alt-unfriendly will always be a thing. This lead into a discussion of the datamining in Battle for Azeroth leading to faction arguments on the forums, and even some inter-faction arguments. Rei and Eric play alliance and don’t care too much about the faction conflict, but Nick thinks that Battle for Azeroth could be setting up a finale for the Horde and Alliance conflict. In the news, the are rumors that Call of Duty will wind up in battle.net. Finally, Nick and Eric look back at episode 3, when we discussed the Warlords of Draenor announcement. Excitement was high, not knowing of the disappointment to come. Thank you for listening to WoW! Talk! #103. Please send any feedback or questions to wowtalk@mashthosebuttons.com, or find us on twitter at @wowtalkmtb.